FC Rostov have never been one of the top teams in Russian football. During the Soviet era, the club struggled to keep themselves in the Soviet First League and spent most of their time in the second tier of Soviet football. Despite the fact that several renowned players, such as Aleksandr Tikhonov, Dmitri Kirichenko, Aleksandr Maslov, Maksim Buznikin and Yuri Kovtun, have played for the club at points in their history, Rostov were always unable to feel the pleasure of success in the Russian Premier League. 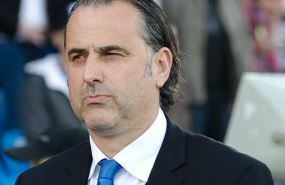 Last season, Miodrag Bozovic, the Montenegrin manager, arrived at Rostov-on-Don charged with bringing stability to the team. In the 2011/12 season, Rostov had managed to go through five different managers; no team in world football could withstand so many changes without seeing their performance severely affected. In his first year as Rostov boss, Bozovic was faced with what can only be described as a rough and troubled season. The club finished 13th in the league and were forced into a relegation playoff battle, eventually defeating SKA-Energyia 3-0 on aggregate. The club’s board expressed their discontent and claimed that they wanted the club to finish among the top ten this season. Bozovic’s boys seem to have understood the message – and in style. So far, the season is a fairy tale. Rostov are, at the time of writing top of the Russian Premier League table, three points clear, having won four and drawn one of their first five games. Rostov have not had an easy run. In their opener they entertained Terek Grozny, winning 2-1, via goals from Artyom Dzyuba in the final moments of the match. Next up came a 2-2 home draw against FK Krasnodar, before they met Tomsk, once again at home, and crushed the Siberians 3-0 with a top class performance and hat-trick from Dzyuba. Then came an impressive 1-0 win away at formerly big-spending Anzhi Makhachkala, before the Selmashi took apart Volga Nizhy Novgorod 4-0 on home soil at the Olimp-2 stadium. For this season, Rostov’s squad has been boosted by several new faces that offer Bozovic plenty more options than he had in the last campaign. The most important new arrivals are two players who landed on loan from Spartak Moscow: powerful Russian forward Dzyuba and talented young Georgian midfielder Jano Ananidze. Apart from the pair, the signings of experienced Ivorian defender Igor Lolo and versatile midfielder Kamil Agalarov, are also major assets to the team. Dzyuba wanted more first team football and asked Spartak Moscow to allow him to leave the club. Following a conversation with coach Valery Karpin, both decided a year on loan at Rostov was best. Apparently, they were right. Dzyuba has already scored seven goals for his new club. For Ananidze meanwhile, who has been compared to the legendary Georgian Georgi Kinkladze on several occasions, the spell could also be an important one, allowing the 20-year-old the football he needs to develop. The newcomers have proven a perfect fit for Rostov and are showing themselves to be major assets for the team; despite that though, there is probably one player who is even more vital for the club – goalkeeper Stipe Pletikosa. The experienced Croatia international is the team’s captain and commands his area with aplomb. Despite the side's poor season last year, the 34-year-old was perhaps the main reason Rostov were able to secure another bite at the Russian Premier League cherry. Bozovic has a tough task on his hands now. The board have provided him with the players he asked for and a vote of confidence to do his job. Now it is payback time. Will Bozovic be able to keep Rostov on track and secure a spot in the Europa League? Or could it even be better than that? Rostov fans face a tense season.